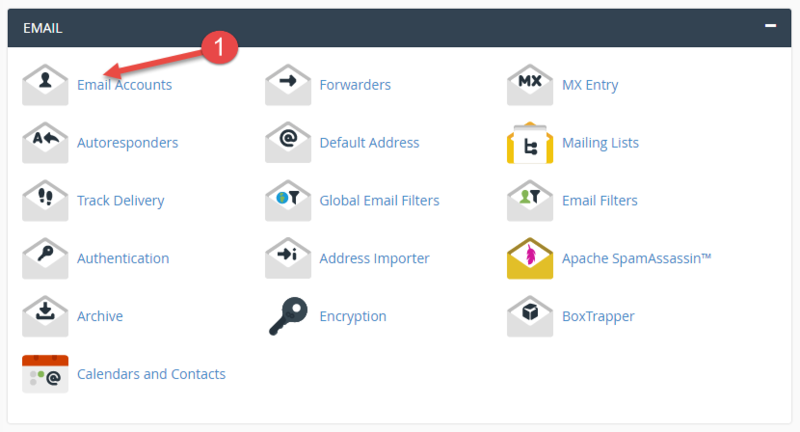 This guide explains how to create an email account in cPanel. 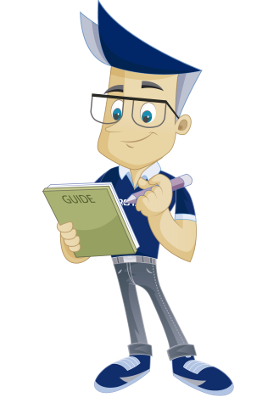 The guide assumes that you are already logged into cPanel. Type in the name you want for the account you are creating. Type in the desired password twice. The password must meet the "strength" requirements, and hence it must contain upper and lower case letters and numbers and consist of at least 6 characters. We do not recommend using special characters such as Æ, Ø and Å, as several email clients do not allow passwords containing such characters. Specify the desired storage quota for the account. This will define how much storage space the account can us in the web hosting instance. If this is set to "Unlimited", the size of the web hosting solution will limit the account size. Press "Create account" in order to save the account. 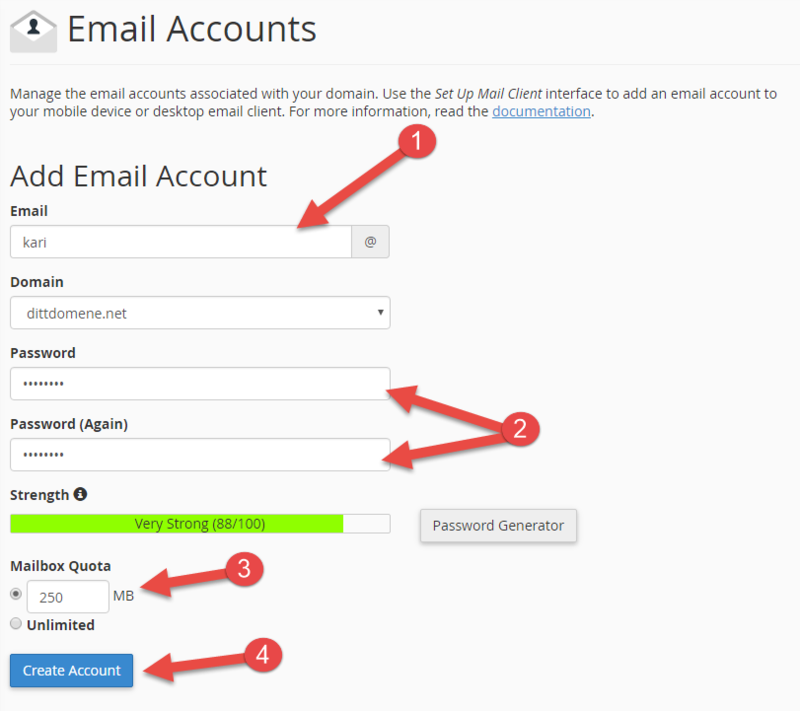 Once the account has been created, it will appear under "Email accounts". At any time, you can see how much storage capacity each account is using. Press to change the password for an account. Press to change the storage capacity available to an account. Press to delete the entire account, including the contents. If you press "More", you will have the option to "Use web-based email", and in this way, you can log into the account directly via "web mail". We have now been through the steps required to create a new email account for your domain and how to follow up on usage and make changes for existing accounts.